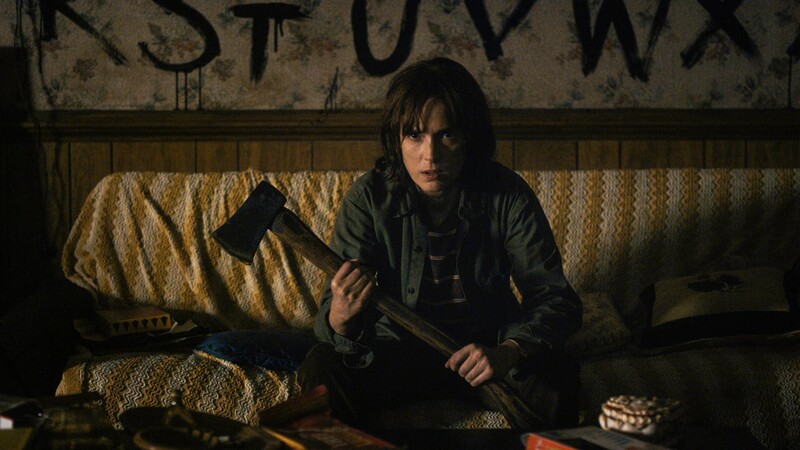 Joyce Byers. . HD Wallpaper and background images in the Stranger Things club tagged: photo stranger things winona ryder joyce byers. This Stranger Things wallpaper might contain talhador, talhador de carne, triturador, cleaver, carne, chopper, cutelo, helicóptero, show, concerto, machete, matchet, panga, and facão.